Summer is just around the corner, and Milwaukee is ramping up for one of the best summers yet! We know the City of Festivals can be intimidating, so we’ve put together a list of our top 5 favorites. Kick your festival-filled weekend off at Café at the Plaza’s Happy Hour! Starting this June, choose from a selection of $3 beers and $4 wines, and indulge in our exclusive small plate menu every Friday and Saturday from 3-6pm. What are you waiting for? Grab a drink and cozy up in the courtyard. Calling all music lovers! The world’s biggest music festival is back and better than ever. Located just down the road from the Plaza, Summerfest is an experience like no other. Whether you’re a fan of Blake Shelton or The Weeknd, this 10-day, 11-stage music festival promises something for everyone. 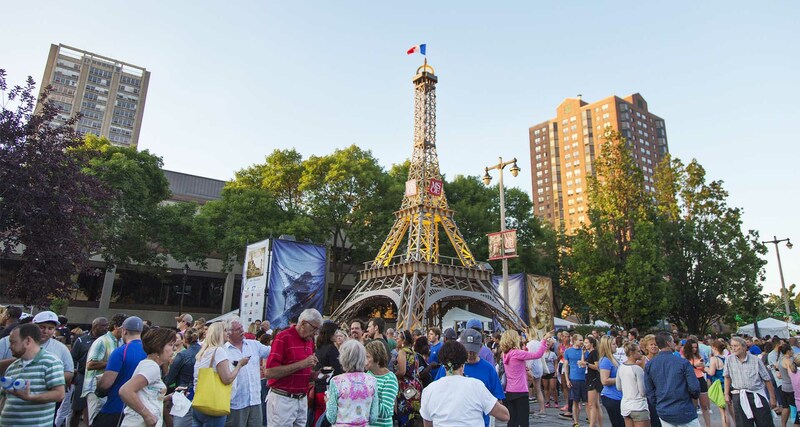 Located right in the Plaza’s backyard, this French festival brings Cathedral Square park to life. Filled with street performers, musicians, artists, and an endless supply of decadent food and wine, East Town’s Bastille Days is not to be missed! Milwaukee Firkin Fest celebrates one of Milwaukee’s greatest feats; beer. This eclectic festival features 50 cask conditioned ales, also known as firkins, and ciders. Go ahead, taste them all and pick your favorite. Bottoms up! Feeling lucky? Do as the Irish do, and attend Milwaukee’s Irish Fest! Join Milwaukeeans in embracing the sound of bagpipes, and indulging in all things Celtic. Enjoy over 100 Irish musicians, and shop from 90 vendors selling eclectic Irish goods. Did we mention the Red Hot Chili Pipers will be there?